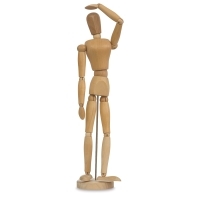 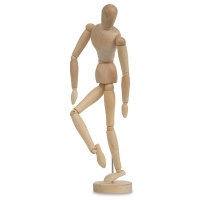 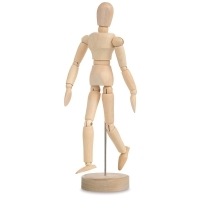 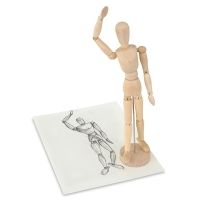 A manikin is an indispensable reference tool for learning the basics of figure drawing. 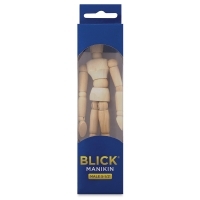 Rendered from durable hardwood, Blick Manikins are figures that can be manipulated into almost any position that can be achieved by the human form. 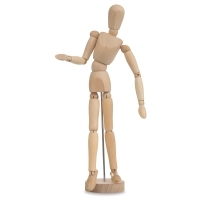 Available in male and female models, in a range of sizes, each manikin has its own stand. 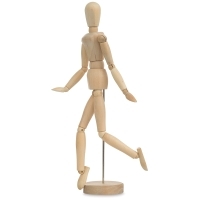 Both the manikins and the stands are unfinished.